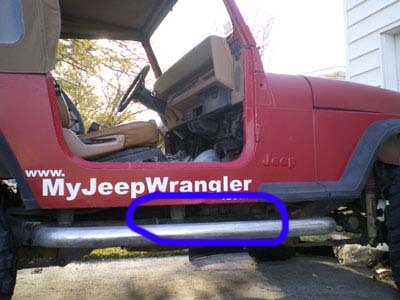 If you have a manual transmission on an older Jeep or you don't have a dip stick under the hood for the transmission fluid, then you will have to check it from under the vehicle. Transmission fluid has a VERY strong odor. Do make sure you are doing this in a well ventilated area if you are sensitive to odors. 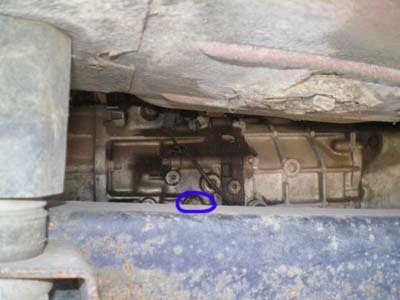 The plug to fill and check the transmission fluid is located on the passenger side of the transmission directly under the front seats. Make sure the engine and transmission are cool before attempting to touch it. Locate the plug and unscrew it. Stick your finger into the whole. If the fluid touches your finger then it is full. If not, add some. Be very careful not to overfill it, because it will come out and onto the ground. The fluid is VERY thick. Using a manual pump rather than funnel should help spread the process up quite a bit. 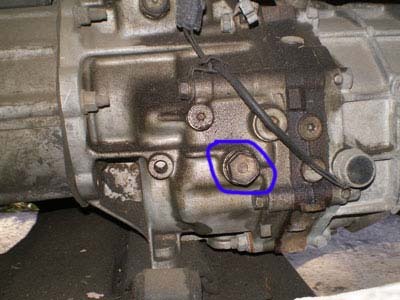 If you are trying to change the transmission fluid, then you will have to locate the plug on the bottom of the transmission. Make sure you have your oil pan under to catch the old fluid. Once all of the fluid drains, plug the hole and put the recommends amount of transmission fluid in it. Call your city to find out how to dispose of this fluid. Dumping is illegal almost everywhere, because it ends up in our water supply. Some auto parts and mechanic shop will take it, but the city will probably have a place for residents to take theirs to. Make sure you don't put Automatic transmission fluid in a manual or standard transmission or the other way around. My Jeep takes 4 quarts. Do not use a funnel for this as it will likely take hours to get all of the fluid in there due to the thickness of it. If the fluid keeps running low and is constantly having to be added, you might want to consider rebuilding the transmission. It can be done with the kit to the left.